At the end of each day, you should be excited to go home. You should be looking forward to seeing your loved ones in a place that’s conducive for your lifestyle of choice. Your residence shouldn’t take more than an hour of travel time to reach, nor should it be in a community that isn’t safe to live in. You deserve to live in a home where every day can start with a bang and every opportunity will be yours for the taking. If this is the home you’re working hard for, you’ll greatly appreciate what Two Central has in store for you and your family. Developed by Megaworld, Two Central is conceptualized to be a shining example of how urban living should be done. This condominium property is composed of two high-rise buildings with 35-storeys each. At first glance, you’ll immediately notice Two Central’s sleek facade and how it emanates elegance for everyone to appreciate. As soon as you step inside in this place, you’ll be greeted by a high-ceiling lobby and a beautiful reception counter as you proceed to your home here. Take your pick from numerous residential unit models available for you in Two Central and you’ll be amazed by how spacious they all are. 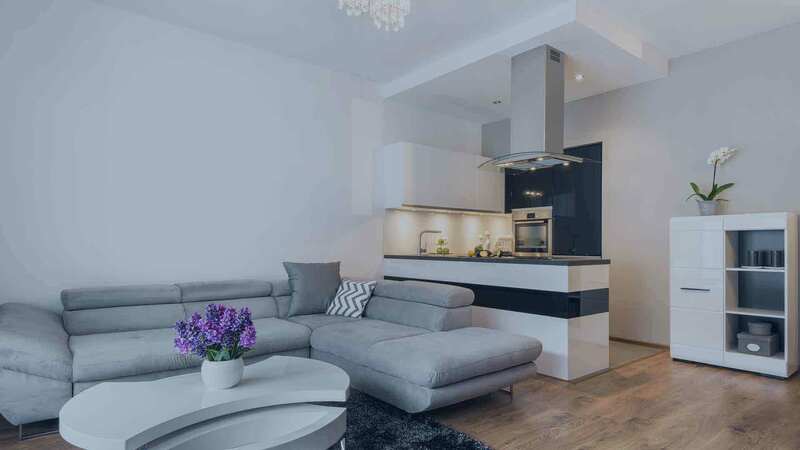 Studio units have 40.9 square meters, one bedroom units contain 59 to 65 square meters of floor area, two bedroom models measure 86.8 to 105.5 square meters, while three bedroom units possess 113.8 to 155 square meters of room. Whatever choice you make or the lifestyle you’re leading right now, you’ll have more than enough space for your belongings and loved ones. Furthermore, all of these condominium unit models are furnished with the necessary features you need in a home. In each of these units, you’ll discover ceramic tile floors, overhead cabinets, and modular counters, among others. And the best thing about these units is they come with various appliances, like LCD TV sets, microwave ovens, and a dining table set, when you choose to invest in this condominium development. Living right in the heart of Makati City’s Central Business District is a benefit Two Central is offering you. Situated in Valero Street, this condominium development’s location brings you closer to your work in the big city and every important establishment that comes along with it. Your stay in Two Central will also link you to major thoroughfares if you need to reach other vital parts of Metro Manila. Roads, such as EDSA and South Luzon Expressway, are easily accessible from your future residence here. As such, you’ll have a more convenient time getting around. Plus, you’ll have a lot of commuting options from this location as well. Various jeepneys, buses, vans, and taxi cabs are plying along this route to transport you to any point of the metro. Even if you don’t own a car or yours isn’t permitted on the road, you won’t have any trouble planning your day ahead. You’ll always have a new place to discover here in Two Central. Whether it’s a new mall, a retail store you’ve been waiting for, or an unknown restaurant that deserves to be explored, you can find them all near your new home here. For starters, Two Central is so close to incredible commercial establishments. Malls, such as Glorietta, Landmark Makati, Greenbelt, Makati Cinema Square, and Waltermart Makati, are all within a few minutes away from you. There are also lot of dining establishments, cinemas, and recreational facilities you can spend your time on. And that’s just the tip of the iceberg there are so many places near Two Central that are just waiting for you. Living in a great condominium development makes your daily routine less complicated. Here in Two Central, your life stands to be much better. That’s because you and your loved ones will have access to an amazing array of amenities. All of these amenities are designed to provide an upgrade to your residential living experience to what it was before you moved in here. You’ll always have a reason to be entertained or be more productive with your time at home. If you are given a choice between leading an exciting lifestyle in a place where all the action happens or staying put with what you have now, you’ll most definitely go for the former. A home in Two Central will infuse your life with the excitement it deserves. Its location in the metro is one that you’ll never get tired of and your home will certainly be a lot better as well. Don’t wait for one day more and find out what this condominium development has in store for you. The Two Central 35-storey residential condominium is a two tower high-rise that is situated in the heart of Makati City. The sleek façade stands out in the city with the inside featuring a high-ceiling lobby and the reception counter as the center piece to the elegant development. The residential condominium features a 2-storey high-end mall that is connected to the condominium. The residential development offers residents an abundance of amenities to include: a pavilion, reading nook, al fresco seating area, trellised seating area, palm court, function rooms, child day care, gym, locker/shower rooms, culinary station, 20 meter lap pool, kiddie pool, in-pool lounge, pool deck, outdoor spa, children's playground, gazebo, reflexology path, meditation garden and linear garden. Typical residential features include: ceramic tiles for living, dining, sleeping den, kitchen, toilet and bath areas, individual mailboxes with keys, provision for hot and cold water lines per unit, kitchen with modular under counter and overhead cabinets, ceramic plank flooring for bedrooms, entrance panel door with viewer, individual electric and water meter and provision for telephone and CATV lines per unit. Units are pre-furnished with luxury, cutting-edge appliances and furniture that compliment residents' lifestyle. These items include: air-conditioning units, 21 inch LCD TV, DVD player, sofa and center table, bed frames with mattress, dining table set, refrigerator, kitchen cabinetry, washing machine and dryer, microwave oven and cook top and range hood. The units that are available include: Studio unit which measures 40.90 square meters, One Bedroom units measuring 59 square meters to 65 square meters, Two Bedroom units measuring 86.80 square meters to 105.50 square meters and Three Bedroom units measuring 113.80 square meters to 155 square meters. Few units are available with balconies. In these units, residents are able to live in luxury with spacious units in a prime highly demanding area. This development is managed by Megaworld International and the residential condominium in fully furnished and move-in ready. Location Highlights: Valero Street, Makati Central Business District, prominent offices, embassies, consulates, directly connected to a two-storey upscale mall, Makati Medical Center, De La Salle School of Business, Ateneo Graduate School, MAPUA Institute of Technology, FEU Makati, Lyceum College of Law, Cambridge Child Center, Three Central's Mall, Paseo Center, Greenbelt Malls, LKG Tower, GT Tower, Shell House, Smart Tower, Philippine Stock Exchange. Looking out for owning a Condo in Makati City? Over here at PH Real Estate, you will find a list of Ready For Occupancy Condos For Sale in Makati City and other Makati City Properties easily. Megaworld Two Central in Makati City, Philippines is a premier Condo project available for sale. If you're looking to rent or purchase Two Central, then check here first. We have full details of Two Central updated regularly as well as everything you need to know about the availing and booking process, broken down into stages that includes selecting a unit, choosing a payment plan and buying your dream home at the right price. For price list, free site tripping or showroom visit, personalized service, model house, unit plans, floor plans, payment terms, CHAT LIVE with an agent 24x7. We are Remax Perfect Homes. Always only buy from PRC licensed Real Estate Brokers and Agents. The Two Central Makati residential units have the biggest range of floor area currently being offered. Its Studio units have a floor area of 40.9sqm, the 1-BR units have 59 to 65sqm, the 2-BR units are a sprawling 86.8 to 105.5sqm, while the 3-BR units are astounding at 113.80 to 155sqm. Where else could you find a condo in Makati City that has a larger floor area except at the Two Central? Nothing else, really! The units also come fully furnished with bed frames and mattress, air conditioning units in each bedroom, a 32-inch LCD TV with DVD player, a microwave oven, sofa set with center table, complete kitchen cabinets, a complete dining set, a cooktop, a range hood, refrigerator, and washing machine with dryer, and other branded appliances. You are practically moving in with only your wardrobe in hand. The Two Central Makati is not only fully-furnished, it is also a complete condo community with a 2 -level parking in each building, a 2-storey upscale mall, a wide array of recreational amenities that are conducive for the whole family, a day care center, Al-Fresco lounge, four chef stations (Pasta Station, Sushi Station, Pastry Station, and Kebab BBQ Station), and a culinary station. Each building has a high-ceiling lobby and a reception center perfectly designed rivaling the finest 5-star hotels in the city. This condo in Makati is truly independent, as workplaces abound at the nearby Central Business District of the city and the neighboring Bonifacio Global City (BGC). Once you settle at the Megaworld Two Central Makati, you don’t need to go too far just to earn a living, everything is within your reach. The location of the Two Central Makati is the locality where you could find the Greenbelt Park, Makati Medical Center, Eton Parkview Greenbelt, Urdaneta Village Forbes Park, Repertory Philippines, Greenbelt Madison, the Makati City Hall, Century City Mall, Ayala Avenue, Centro Escolar University, Salcedo Auctions, SGV and Co., BIR Makati, RCBC Plaza Yuchengco Tower, Paseo de Roxas, Makati Avenue, and many other famous landmarks and major thoroughfares within the site’s 1km radius. This neighborhood, though highly urbanized, is one of the most peaceful and quiet communities this side of Makati. Owning the finest condo for sale in Makati has never been made easy until now. Part of the Two Central Makati could be yours by paying spot cash with big discount OR choose among the 4 available payment options only Megaworld could offer. To find out more about these payment options, contact our friendly real estate brokers on this website for details.